Ever went weak at the knees and felt the urge to make the world socially just and more sustainable? 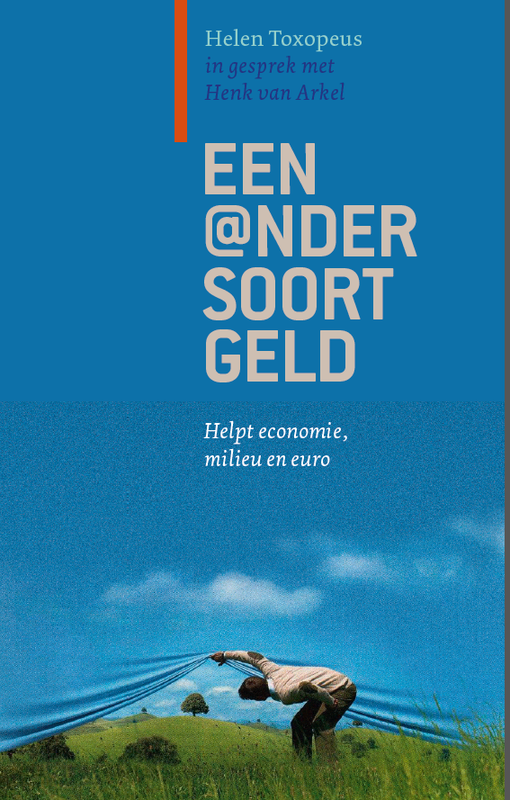 The book "Een @ander soort geld" ("A different kind of money"; http://www.strohalm.nl/eenandersoortgeld.html) by Helen Toxopeus promises a solution: an alternative to the current money system. It puts a penalty on (or makes it impossible to) spending credits too soon outside the local community. Hence it limits globalization. Tax has to be paid for credits that are not spent. This will prevent the rich from becoming too rich and at the same time stimulate the economy. As a physicist I am able to compute the behaviour of simple dead systems like falling objects and oscillating pendulums. Therefore I shiver at the thought of modelling complex economical systems "running on" a large number of living people embedded in a dynamical environment while at the same time having the boundary conditions of being socially just and sustainable. Therefore I was glad to see that (variants of) the system were already tried out and continue to be tried out. Toxopeus based her book on a series of interviews with Henk van Arkel, who pioneered alternative money systems and is CEO of STRO, "Social Trade Organization" (English: http://www.socialtrade.org/; Dutch: http://www.strohalm.nl/index.php). The way our current money system works is explained in some detail. Like the way it is created and what the consequences of interest are. Interest is seen as a big evil. Several alternative systems and experiences with them are described. This is mixed with a sketch of Toxopeus' own development from being a banker at ABN AMRO via gaining interest in crowd funding to her current positions as a researcher in the field of innovation and sustainability in money- and exchange systems. This mix of the factual and the personal makes the book more accessible. The (former) banker questioning van Arkel is a good way to understand van Arkel's ideas for the average reader who grew up with the usual money system. The book actually has a second, more formal and detailed part by van Arkel himself. As a whole it makes for an interesting and entertaining read. It is currently under translation. In line with the content of the book one can get it for free. Payment is not needed if it is returned or passed on to another reader. Only if one keeps it payment is expected. I think it is good that alternative money systems are being invented, implemented and tested. Maybe not to change the current money system entirely but as being complementary. There is a theory that a mixture of money systems stabilizes a society. In the system it is impossible to save credits for the time when you are not able to work any more. So at that age you see your (limited) savings steadily evaporate while not being supplemented. Stimulating spending credits (I saw an example interest of 6 %/year on savings) stimulates working. Isn't this the same as having to work for a mortgage, putting an unwelcome pressure on people? Who is "turning the knobs" in Cyclos? For example, who defines interests? It seems that some parameters like the interest are fixed. In the current system the interest is at least more free. Is this additional degree of freedom not necessary for a system to adjust to varying circumstances? I came across three "van Arkels": the aforementioned Henk, his brother Jan van Arkel who is the publisher of the book and a certain Roder van Arkel, "project manager Cyclos". I do not know for sure whether Roder is family of the other two. Probably new ideas have a tendency to originate from a group of closely related people. However, if things grow bigger it is not advisable to keep such a group regulating the money system, the software and the press. 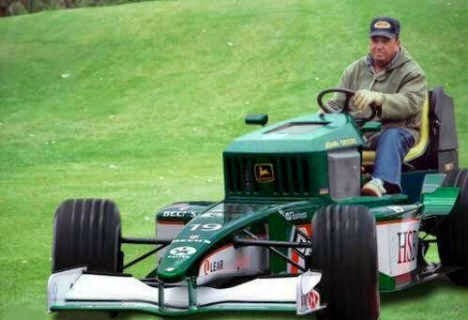 If I borrow my lawn mower to my neighbour. As a consequence I cannot use it for some time, it ages, and my neighbour has the advantage of its use and not having to have one. Isn't this enough reason to expect some kind of "interest" from my neighbour? Doesn't the same hold for money?